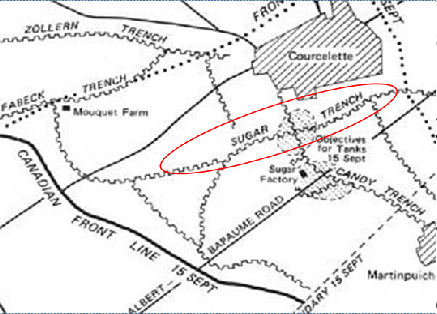 The Battle of Flers—Courcelette did not end with the push into enemy lines on 15 September. 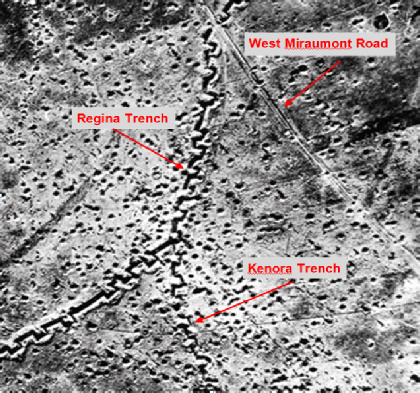 It continued for some months as an attack/counter attack that pushed the allied line northward in enemy area, past Courcelette toward the Regina and Kenora trenches. 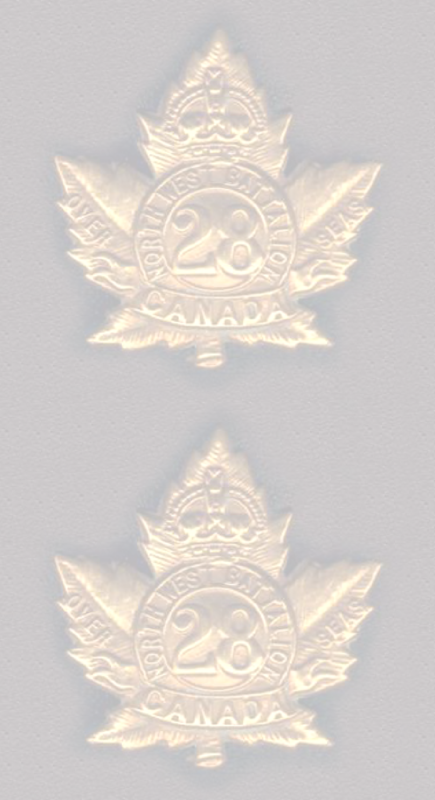 'The 28th Battalion reported that on the evening of the 27th there were about 40 Germans in the open and that they were going to round them up. Afterwards they reported that about 20 of these had surrendered or were taken by the 29th Bn Patrols. The enemy party mentioned ran into bad luck and after a misunderstanding with one of my L G crews they were too dead to be used as prisoners. 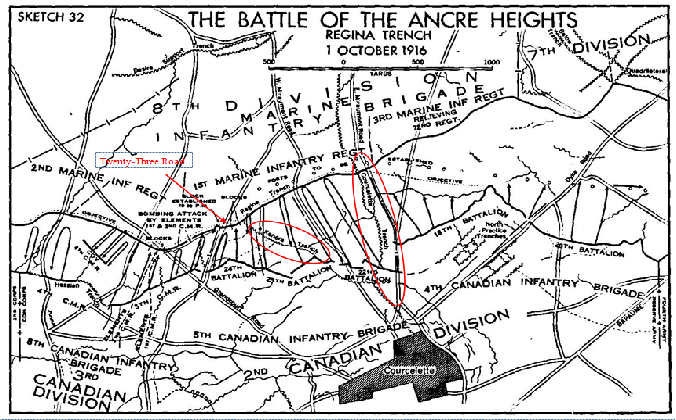 Battalion was relieved and over the month of October, it was reinforced, re-equipped and in stages, moved to Souchez, at the north end of Vimy Ridge.